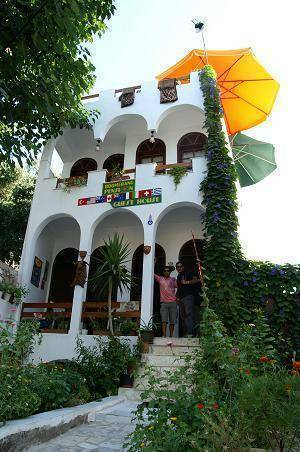 We are centrally located, just 200 metres from the bus station in Selcuk, right next to the Ephesus museum. We offer FREE transport to the ancient ruins of Ephesus, and the Grotto of the Seven Sleepers, located 3km outside the city centre. Just minutes from our guesthouse are the ruins of the Temple of Artemis; one of the seven wonders of the ancient world, as are the Church of St John, the Isabey Mosque and the Ayasuluk fortress. Head down to the nearby beautiful Pamucak beach, or for the adventurous, the Aqua Park in Kusadasi. 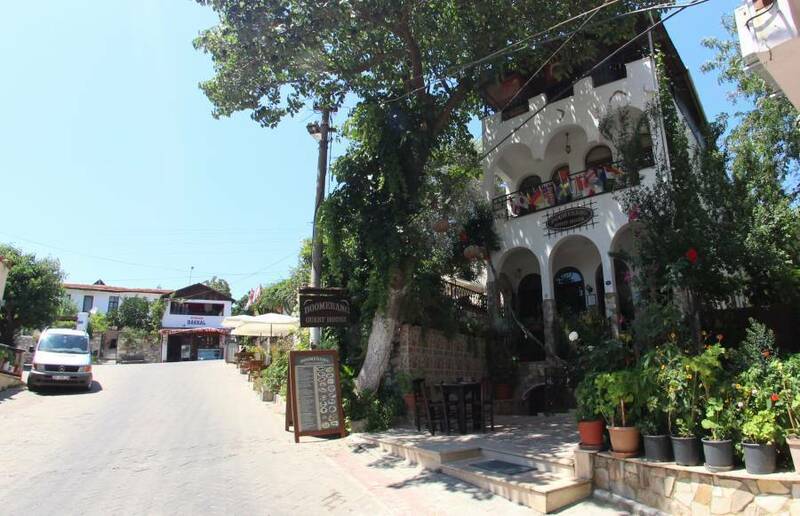 We can arrange day trips to the fascinating towns of Sirince (Greek village), Samos (Greek Island), Priene, Milet and Didyma, and also the spectacular travertines of Pamukkale. 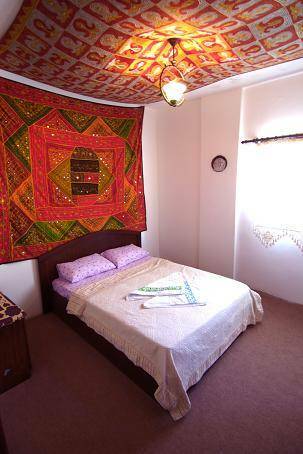 If you are coming from Samos in Greece, we can arrange transportation from the port of Kusadasi to our guest houseand from izmir Airport to our hotel with extra cost . 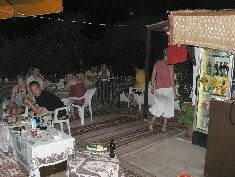 Our experienced staff are happy to offer advice and help arrange your further travels throughout Turkey. 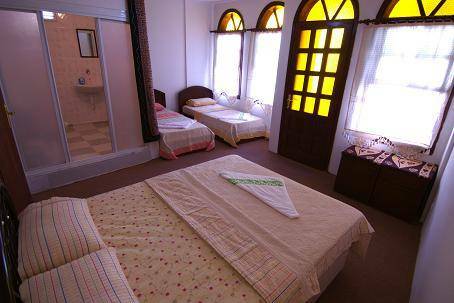 Boomerang guesthouse is a small pension set in a classic building with a range of accommodation options, including comfortable single, twin, double, triple and family room and dorm rooms with en-suite facilities, 24hour hot water, all linen and towels as standard. Internet is available FREE WIFI, as is a laundry service With Extra Coct. A range of breakfasts are available at no additional cost, even Vegemite and marmite for homesick Aussies and Kiwis! 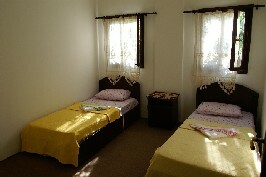 So come and make some friends at the Boomerang Guesthouse. We pride ourselves on our friendly, welcoming atmosphere. We hope that you enjoy your stay, and, like the boomerang, return one day! Bus station to anywhere in Turkey. Port of Kusadasi 17km for ferries to Samos (Greece).